Trends in live poker seem to come and go overnight. One that hasn’t gone away yet, unfortunately, is slow play and excessive tanking. The following updated article, originally published in 2016, is a good reminder to slow players why they need play faster. There was a time when No Limit Hold’em tournaments were the greatest form of poker to be played. The drama, dynamics, and prize money made them exciting to play, especially when you made a deep run. But now nearly all No Limit games, and tournaments especially, are infested with players who take far too long to make decisions. Worse, these players often go in the tank with a decision already made. They’re just posturing, not actually ‘tanking’. The only legitimate reason to do this is to balance the time taken making hard decisions with times when decisions are easy – i.e., to avoid giving up information. This is fine, to an extent. However, in No Limit tournaments with large fields of players who are rarely familiar with each other, it’s drastically overdone. Probably the worst cause of excessive tanking is a trend of amateurs copying pros who tank all the time. Most amateur players want to look the part of a professional. So, when recreational players see a pro do something they can easily emulate, they do it, whether or not it’s strategically beneficial. The tanking problem was somewhat exacerbated a few years ago, when a few pros on the WSOP Main Event broadcast each took a long time to make every decision. And I mean every decision. Every. Single. One. Now there isn’t a No Limit game in the country that isn’t full of people taking too long. So, I’m angry because I used to love playing No Limit tournaments, and I want this problem to be solved. But it’s one thing to complain about a problem, and another thing to explain what can be done about it. So, here are 5 reasons why you need to play faster. Suppose just 1 of 9 players at a table is taking too long to make decisions. This player is singlehandedly bogarting a massive amount of time to look at his cards and act. The other players in the game want to strangle this player. Even though he’s the only slow player in his game, his behavior is nevertheless unacceptable. Live poker is already slow. For the sake of the other players’ enjoyment of the game, he ought to speed up. If you wait until the action is on you to look at your hole cards, you are wasting time and need to make relatively quick decisions. Keeping the game moving is the right thing to do. Assuming you’re a winning player, it benefits you to get in as many hands as possible. A slow table may get 30% fewer hands than a fast one. That’s a lot of hands that you’re missing out on. Think of every hand not played as a direct hit to your hourly win rate. If you want to maximize your edge and your hourly, you need to speed things up when you can. Only losing players benefit from unnecessary tanking. 3. It sets a good example. Poker players are lemmings in a lot of ways. The more socially acceptable it is to do something, the more players are going to do it. This is why it particularly frustrates me to see well-known pros tanking–not only are they wasting time, they are giving less experienced players the idea to do the same. Call clock on players who take too long. Don’t shame players who call the clock for legitimate reasons. Take a reasonable amount of time to make simple decisions. This reason to play fast trumps every other. It’s plainly against your interests to make the game less fun for people who are probably not going to win, but who will play poker anyway. Yet, that’s exactly what excessive tanking does. Recreational players like action. They like it when the game moves along apace. So it’s common for these players to get angry when someone takes a long time to make a decision. You need to understand that many recreational players play only rarely, or usually at home with friends, and so they are blown away when a douchebag wearing mirrored sunglasses takes a full minute to make a decision that should take three seconds. An earlier version of this article argued against the shot clock in poker. The gist of the argument was that it hurt players who usually don’t take a long time to make decisions – that when these players take a lot of time it’s because they actually need it, and that they have in a sense earned the right to take that time by playing fast otherwise. I think that this point still stands. However, the fact is the shot clock is being used more and more in tournaments, and it looks like it’s here to stay. Fine. Let’s embrace the shot clock. If the cost of punishing players who tank too much is forcing fast players to keep playing fast, then so be it. Just please don’t waste everyone’s time by taking the full 30 seconds to fold 93o in early position. To sum up, I SWEAR IF SOMEONE GIVES ME ANOTHER 20-SECOND STARE DOWN AFTER I’VE BET 2 BIG BLINDS ON THE TURN I AM GOING TO PLAY THE SONIC THE HEDGEHOG DROWNING MUSIC EVERY TIME THE ACTION IS ON THEM FOR THE REST OF THE TOURNAMENT. I think that might work. That song is haunting. I could run a 4-minute mile listening to it. I’m not the only one fired up about this trend, by the way. A lot of really smart players, like Justin Bonomo and our fearless leader Doug Polk, have spoken out against slow play. Anyway, I could go on listing reasons why you shouldn’t take too much time making decisions at the table, but I think you get the idea. Remember what it was like when playing live poker was consistently fun? This is a first step toward getting that back. 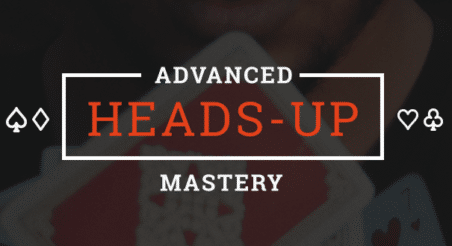 Gain access to 57 learning modules (covering topics like multiway pots, overbetting, and more) and 141 Play & Explain videos when you join the Upswing Lab!